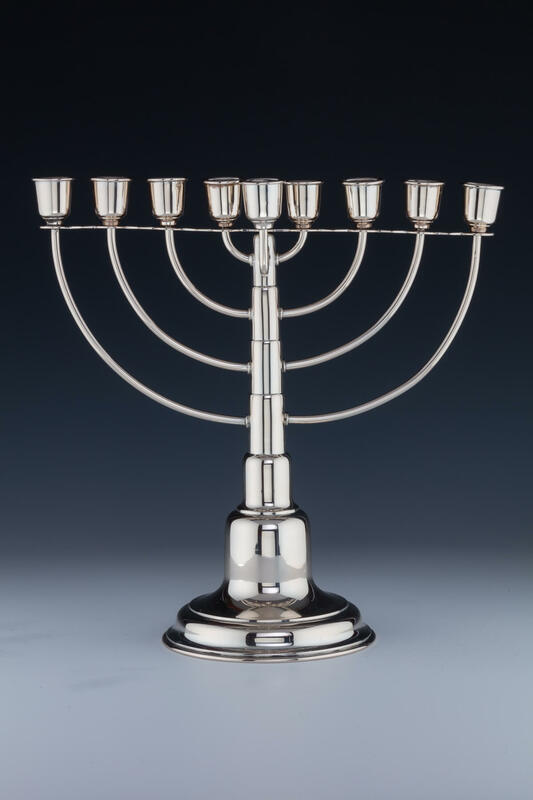 A SILVER CHANUKAH MENORAH BY EUGEN MARCUS. Germany, c. 1910. On round base. In art deco design. With eight semicircle arms and original servant light. Marked 800, crown, moon and maker. 10.5” wide and 10.5” tall.